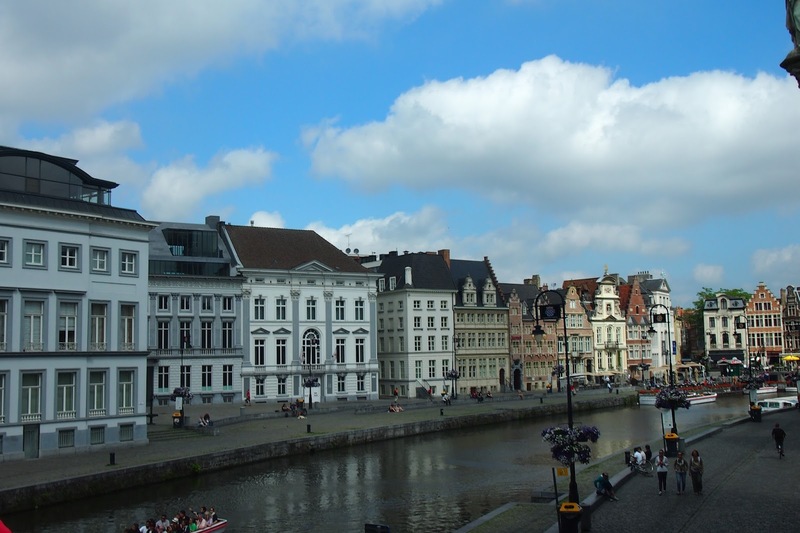 Ghent was my first city tour by my lonesome and the 2nd city in Belgium where I saw these lovely canals with even lovelier guild houses. I don’t know what it is about canals and old houses but they are just postcard-perfect, aren’t they? And what I really loved about my trip was that everywhere, they were able to preserve the old structures. 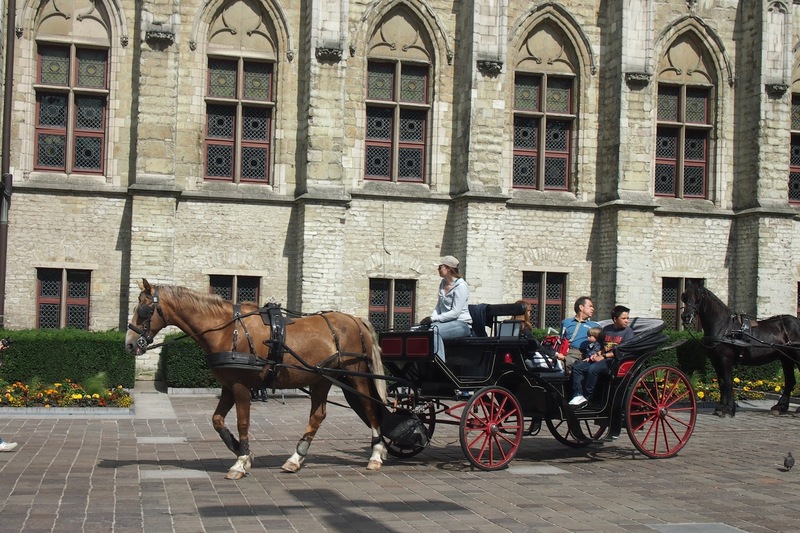 I swear, walking around felt like being in a period movie setting. I think I might have lived in the Middle Ages in my past life coz everything felt right at home. According to our guide, the 3rd house from left is the oldest of this bunch – built in the 13th century. 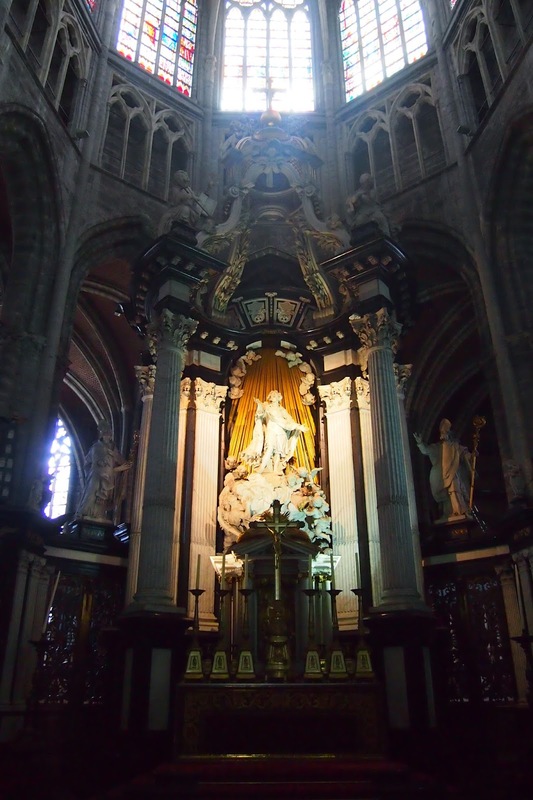 Our first stop was actually the Saint Bavo Cathedral but I didn’t get a decent photo of it because it was being repaired and was covered from top to bottom in steel planks and whatchamacolit which is too bad. Inside though, you’d be impressed with the elaborate naves of the cathedral. 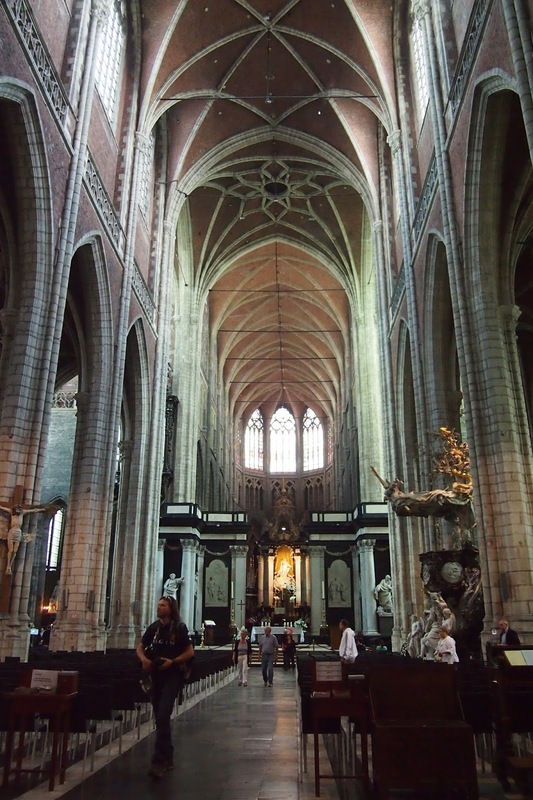 (Come to think of it, the European churches appear to be the inspiration for most of the towers, castles and dwarf kingdoms in the Lord of the Rings and Hobbit movies, especially that long dark expanse of Moria where Gandalf met his end). As with most other churches in the region, the site was previously occupied by a 10th century chapel , and later on an old Romanesque church, portions of which can be seen in the Cathedral’s crypt. 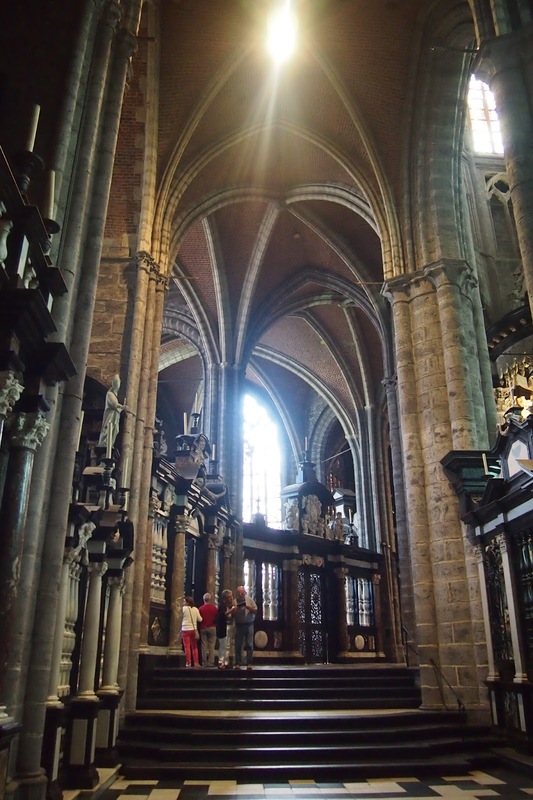 The church was ultimately replaced in the 13th century and expansion works continued all the way up to the 16h century, leaving us with the present day Cathedral. WHEW. Talk about a very looong construction period. But no wonder old buildings were built to last and look grand – our ancestors took their sweet time. Nowadays, it’s all about speed, and we end up with cold, uninspired buildings most of the time. Tsk tsk. 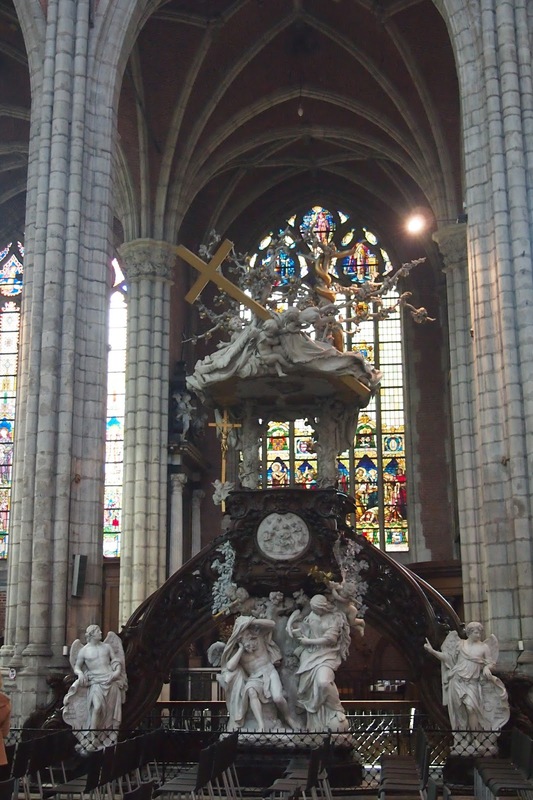 Another ornate pulpit carved in the mid-18th century by Laurent Delvaux. I think I like this better than the all wood version. The white carvings provide a nice contrast to the dark color of the wood. I didn’t know about the Adoration of the Mystic Lamb polyptich by Jan and Hubert Van Eyck, considered by many as one of the most important artworks in Belgium, otherwise, I would have gladly paid the 4 euros to see it (or perhaps it was being restored at the time, since I didn’t see a sign for it). It was a masterpiece so precious that a treaty had to be signed in WWII for it to be safely moved country to country to avoid damage and/or destruction. 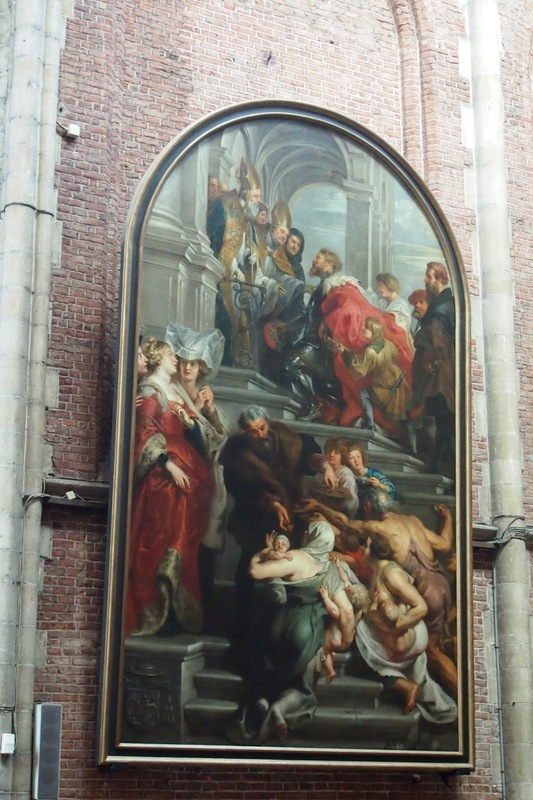 I did see, however, another Rubens painting inside the Cathedral so I didn’t leave Ghent empty-handed. Across from the Cathedral is the Belfry Tower, with the Cloth Hall at its base. 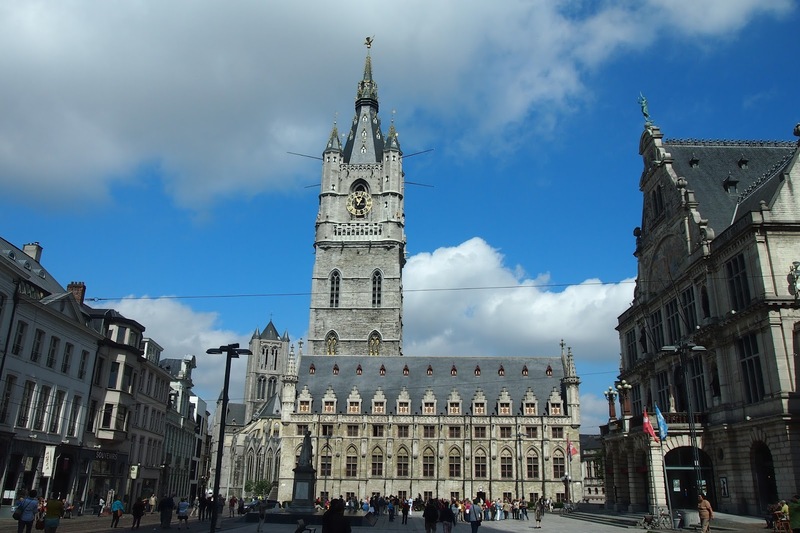 It is one of three towers in Ghent (along with Saint Nicholas Church and Saint Bavo Cathedral) that dominates the skyscape of the city. 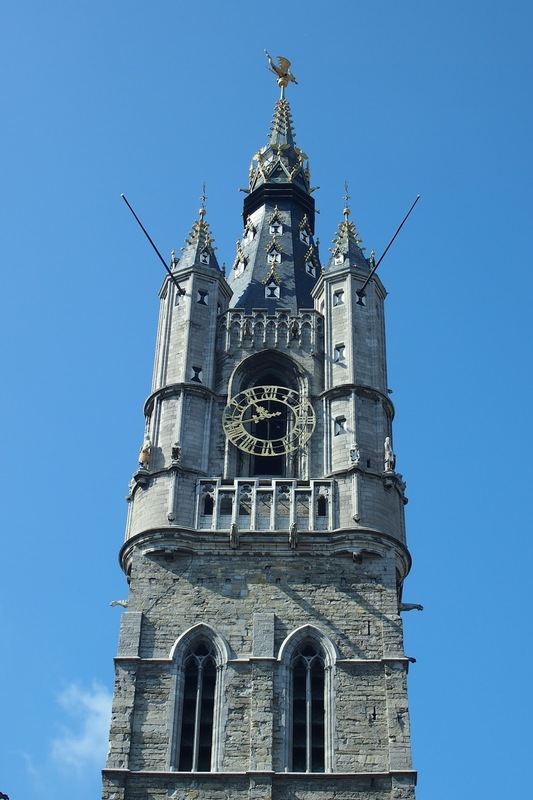 A belfry may be nothing more than an aesthetic touch nowadays, but in the Middle Ages, it was also served a very important function of being the watch tower. It warned the people of impending attacks to their city from beyond their walls. My feet were starting to ache and I wanted to ride in one of these so badly. Unfortunately, I also didn’t want to go alone and risk being left behind by our group. 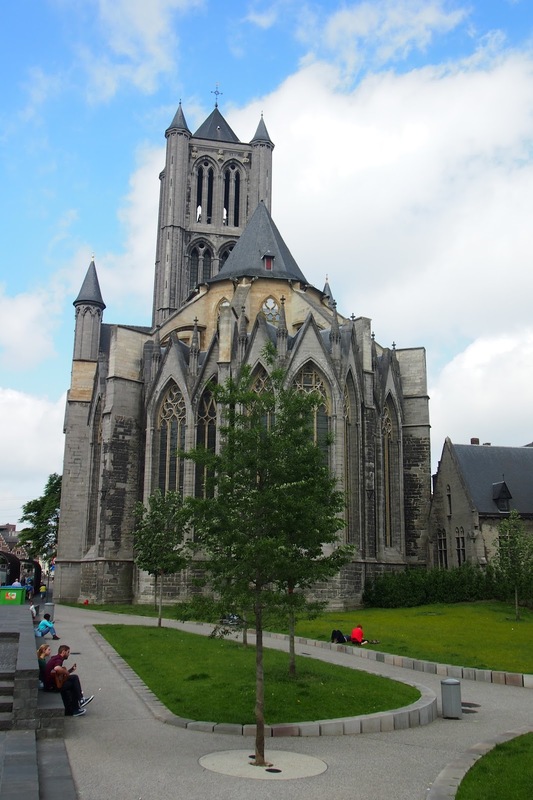 A few steps away from the Cathedral is the Saint Nicholas church, one of the oldest churches in the city, completed around 1220 – 1250. 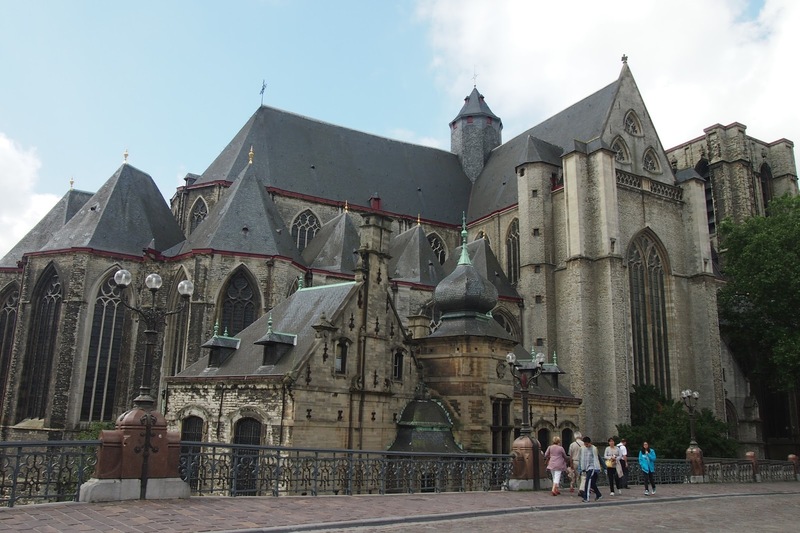 It was built in the Schedlt Gothic Style (named after the nearby river), most obvious features of which are the grey stones and the tiny turret. I don’t know what settings I used in this particular photo – I was rushing off because I got left behind by our group (trust me to linger too long looking at old huildings and this wasn’t part of our stop, but I just had to snap a photo). The colors just seem to pop. But it is really as pretty in person. I have no idea how many Catholics there used to be in the middle ages but again, just a short distance from Saint Nicholas is Saint Michael’s Church, completed in 1530. Right beside it is the Saint Michael’s Bridge, from where I took the photo of the river. 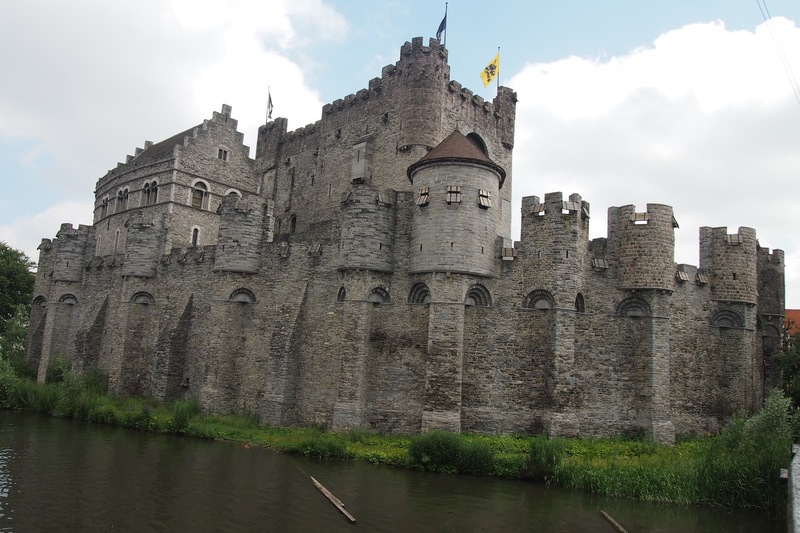 Okay, the Gravensteen Castle is my first castle in Europe (I posted Antwerp first but I visited this city first). I mean, I’ve seen the Louvre and Versailles earlier but those are gigantic palaces; this one is grand on a smaller scale and people, it has a freaking moat! Hahaha! 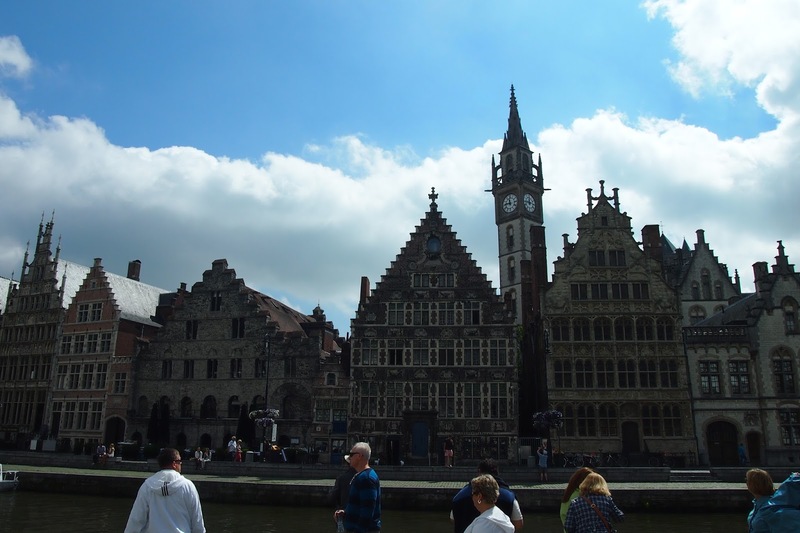 It was built around 1180 and used by the Counts of Flanders as their seat until the 14th century. It was then used as a courthouse, a prison, and ultimately abandoned. It was restored in the late 19th century and now houses a museum. 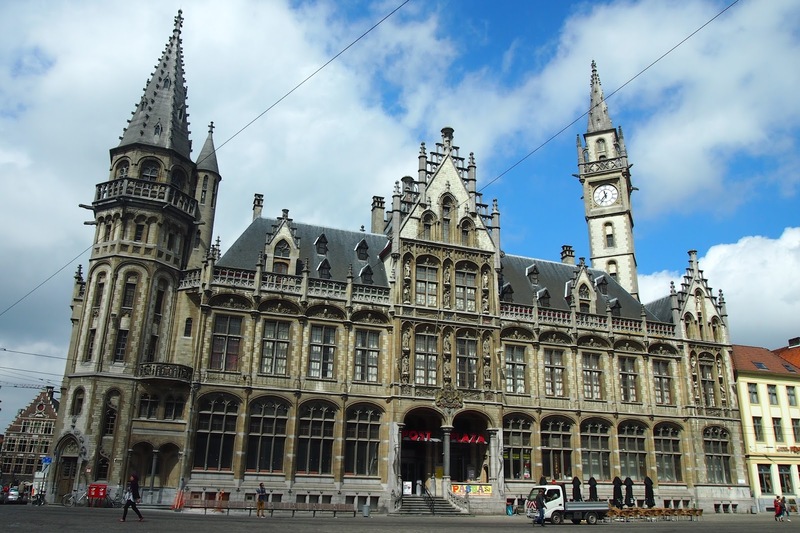 We were only in Ghent for a couple of hours that day and our last stop before we headed out to our next destination was this lovely post office. 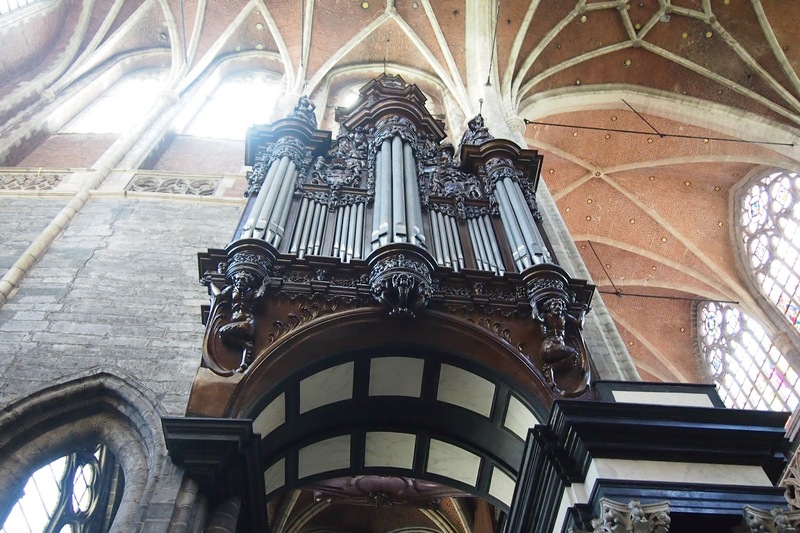 It’s not exactly old, after all, it was built “only” at the beginning of the 20th century. If only our post office looks like this. I don’t normally like walking, except when I’m shopping, but if the weather is at a cool 15C and the sights are this beautiful, I would gladly walk all day. The buildings are all so ridiculously beautiful.